(Definition by Loo) A severe case of frequent touching, twirling, pulling (or any other form of manipulation) of the hair, especially the ends. 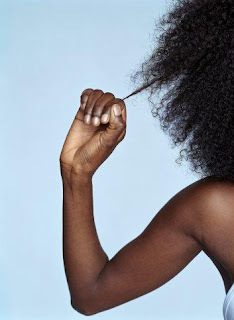 It is not an actual disease but a phrase coined in the hair care world for this bad habit. These styles will make it difficult for you to keep your hands in your hair since your hair is ... well ... tucked away. Like the above styles, these ones will make it difficult to reach your actual hair. After a long day, you may want to let your hair down or take off that beanie, and this is understandable. Give yourself about ten to twenty minutes of "free" time then put on that satin bonnet or scarf. This is my least useful avoidance technique, but when I do use it I find that pliable objects (like an ouchless band) work nicely. I can identify! 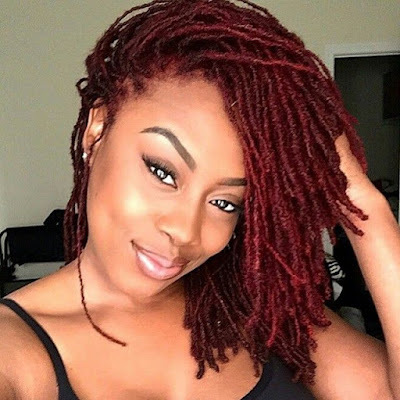 Once my hair is about 8weeks post, my fingers finds it way playing with my coils but only when I'm airdrying because i wear PS constantly deeper into my stretch. Great tips!